Summary: We need to be cleansed of our sinfulness, guilt, and shame. Like raw ore, we need to be refined and purified in order to receive Christ and His gifts. 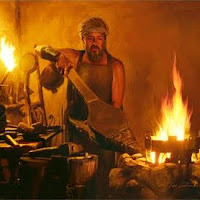 The Law has the power of the refiner’s fire, able to burn away sin. It can scour us cleaner than the harshest fuller’s soap. Unfortunately, the cure is so harsh that it will destroy us. Instead, God abandoned Jesus to the smelter’s crucible. 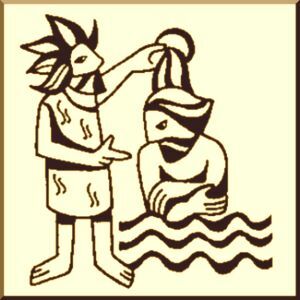 He sent Him forth to be scrubbed clean — not of his own sins, but of ours. He obediently humbled Himself, experiencing temptation, pain, sorrow, and death that He might purify us. Text: “Behold, I send my messenger, and he will prepare the way before me. And the Lord whom you seek will suddenly come to his temple; and the messenger of the covenant in whom you delight, behold, he is coming, says the Lord of hosts. “But who can endure the day of his coming, and who can stand when he appears? For he is like a refiner’s fire and like fullers’ soap. He will sit as a refiner and purifier of silver, and he will purify the sons of Levi and refine them like gold and silver, and they will bring offerings in righteousness to the Lord. Then the offering of Judah and Jerusalem will be pleasing to the Lord as in the days of old and as in former years. Audio: Click to hear the MP3 of Refined and Purified, preached to the saints of God at Faith Lutheran Church, Knob Noster, Missouri.